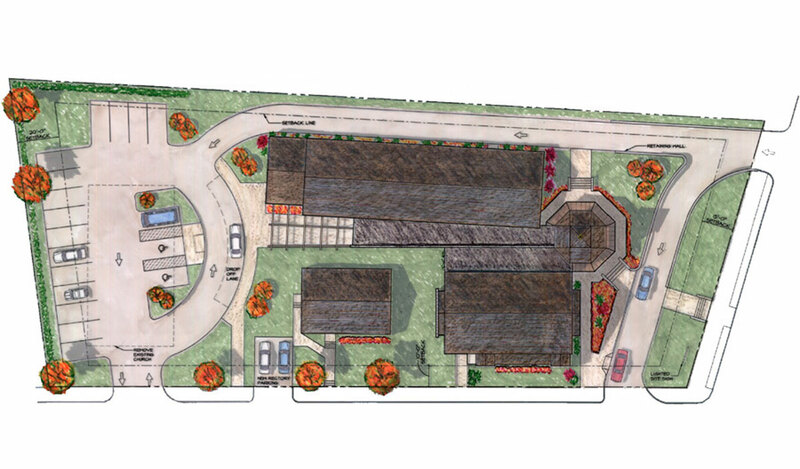 A proposed 9,640 s.f. 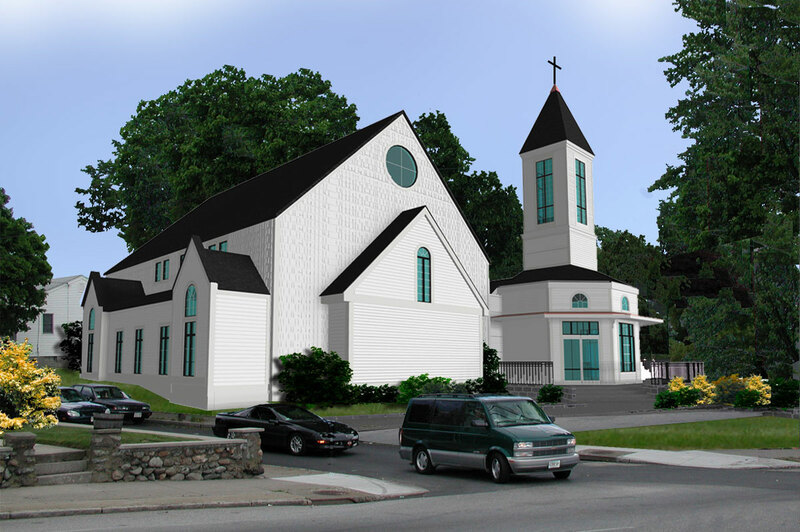 new church and parish hall facility designed to accommodate a growing National Catholic parish. The design features a formal, octagonal narthex and steeple as the focal point of the building. 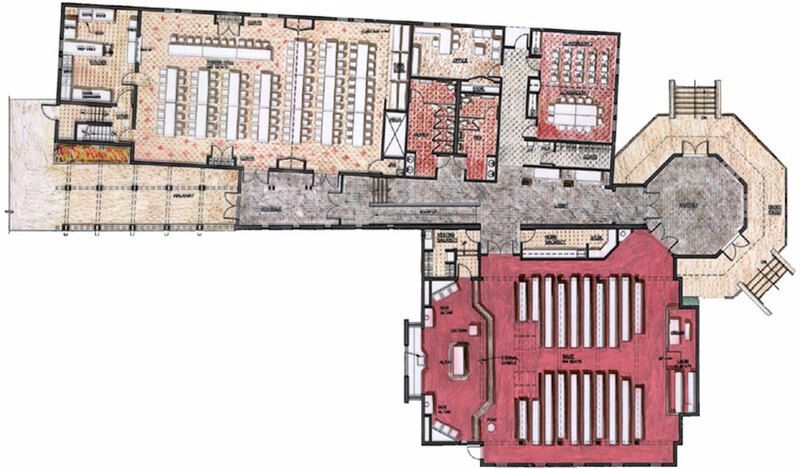 The central circulation spine provides access to the hall, pastor’s office, classrooms, narthex, and the 200-seat nave. The building exterior features traditional, New England wood frame massing and materials.